Given the subject matter of that central panel, it’s doubtful Hieronymus Bosch painted The Garden of Earthly Delights for a public place of worship. More than likely it was commissioned for a private chapel by a wealthy benefactor. 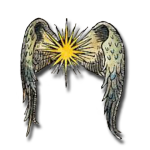 In The Infidel’s Garden, the commissioner is Marjit’s soul mate, the nobleman Pieter van der Beeck, an art-loving man of noble blood . 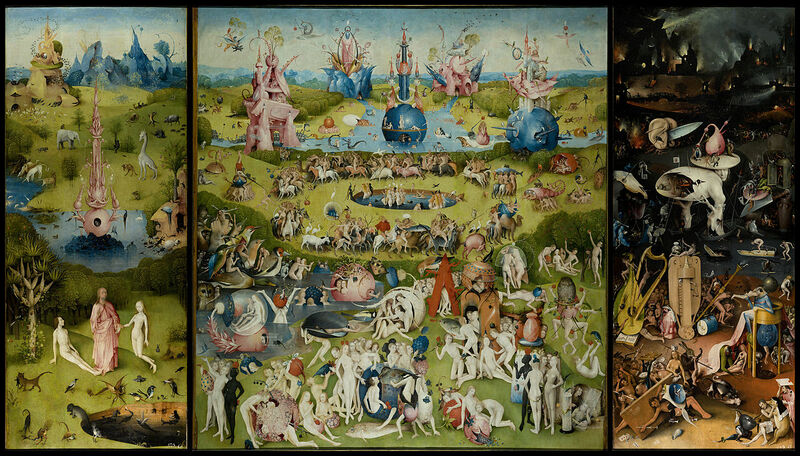 The Garden of Earthly Delights triptych follows a standard format used by Bosch. Flanked by heavenly imagery on the left and hellish imagery on the right, the images are thought to follow a chronological order. It’s the middle panel that has scholars scratching their heads and I think we can assume it caused quite a sensation, as happened in The Infidel’s Garden, when it was first unveiled. As all hell breaks loose, Yolente, mistress of the house, outraged at what she has seen, immediately blames Hieronymus Bosch’s model, Marjit. She pulls at me as she climbs over the table, screaming like a banshee while the guests gawp in shock. Even Rutger, with his cat’s reflexes, sits open-mouthed and frozen as if he can’t believe what he’s seeing. “You bewitched Hieronymus of Bosch!” Yolente screams, leaning on me to get her balance even as she’s pummelling me.